This story is from our UK sister publication, The Manchester Mumbler. This story has been edited into American English. Wiltshire authorities released a big cat from captivity, two days after it was captured by three local residents. The beast, which was described as a rare British Panther, appeared to be in good health, despite the “appauling conditions” of its cage. Burdett says the beast was kept in a small cage in a basement. The captors intended to keep the beast there until the zoo was completed in 2016. A lawyer for the defendants denied they had the creature and said he would prove in court that this was a Muslim plot to destroy his clients. Sources within the department say the panther was released into a neighboring field, where it promptly kill a rabbit. The sources also said that famed UK skeptic Hayley Stevens would assist in the coverup of the capture, and tell other skeptics not to believe in the beast. 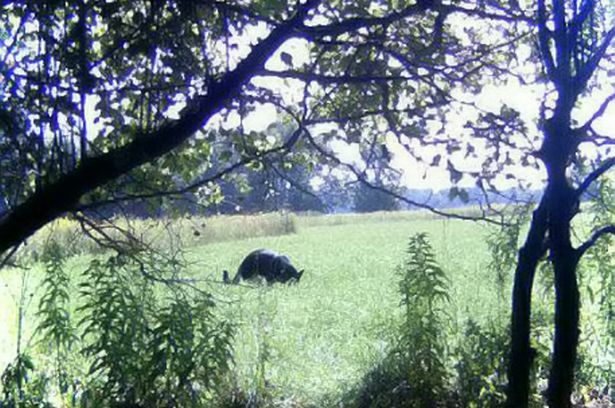 When reached for comment, a spokesperson for Stevens denied her involvement, and added that the latest picture of the creature is really a panther in the US state of Michigan.